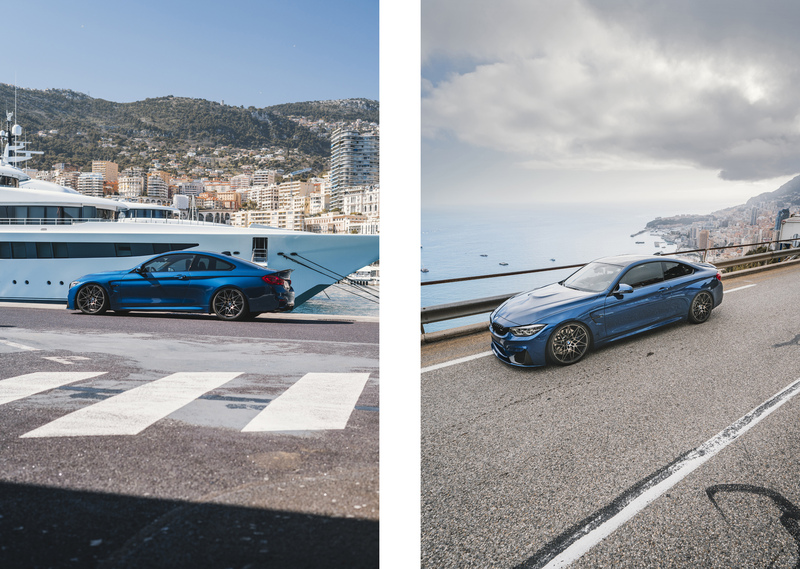 BMW M4 COMPETITION – THE ULTIMATE DRIVING MACHINE! As you all know, I’m a big Meguiar’s fan and I’m been waiting a long time on this product and it’s finally here! 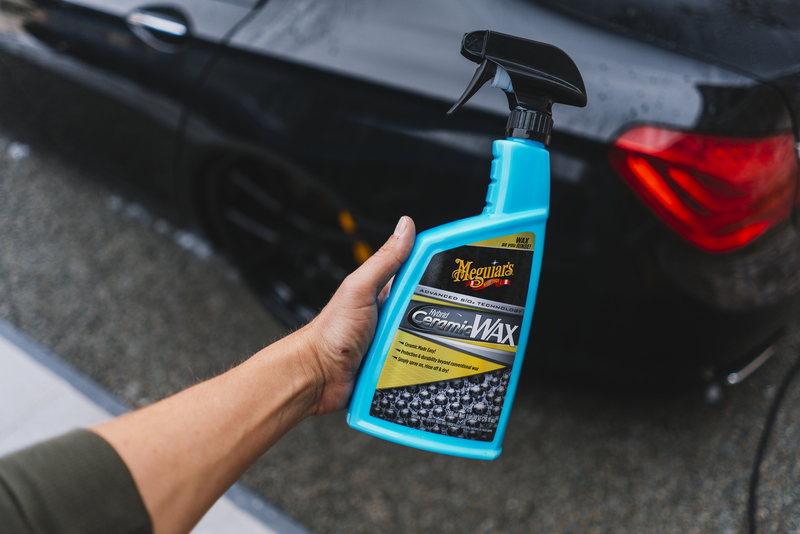 The long awaited Meguiar’s Hybrid Ceramic Wax which was presented at the Meguiar’s booth on Sema. I got it in my hands as one of the first ones and I’m happy to give this a test for you guys! First, I gave the car a wash like I normally do. Decided to give it a little foam bath and a wash with the Meguiar’s Ultimate wash & wax shampoo. 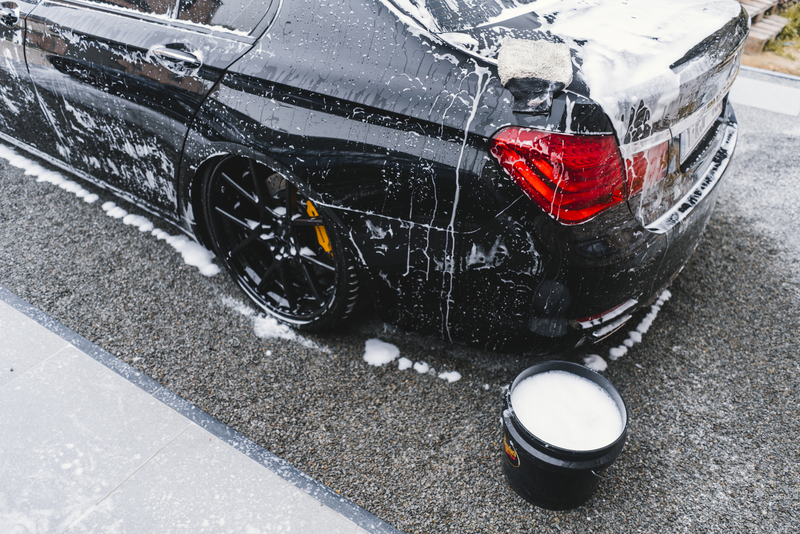 Of course, we’re using the bucket with grid guard and Meguiar’s washmitt. 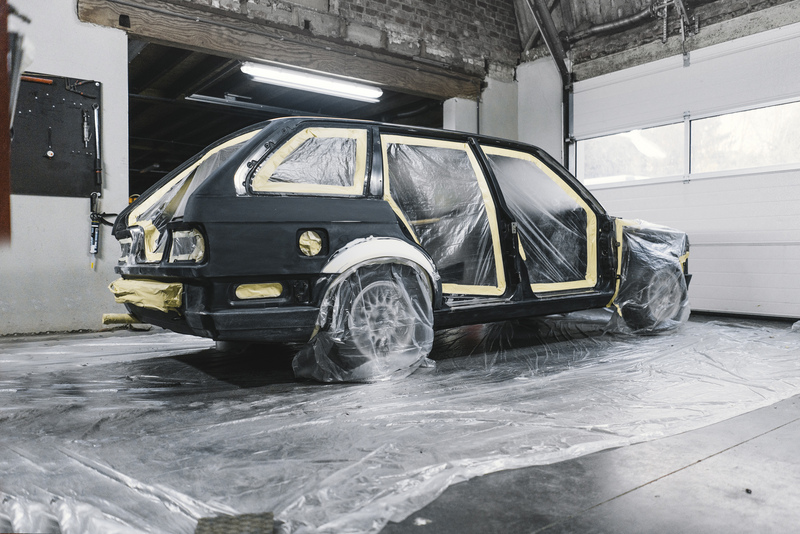 As I love to test products to the maximum, I’ve got an extra level of difficult right here as this already had some Meguiar’s wax on the paintwork in the past. 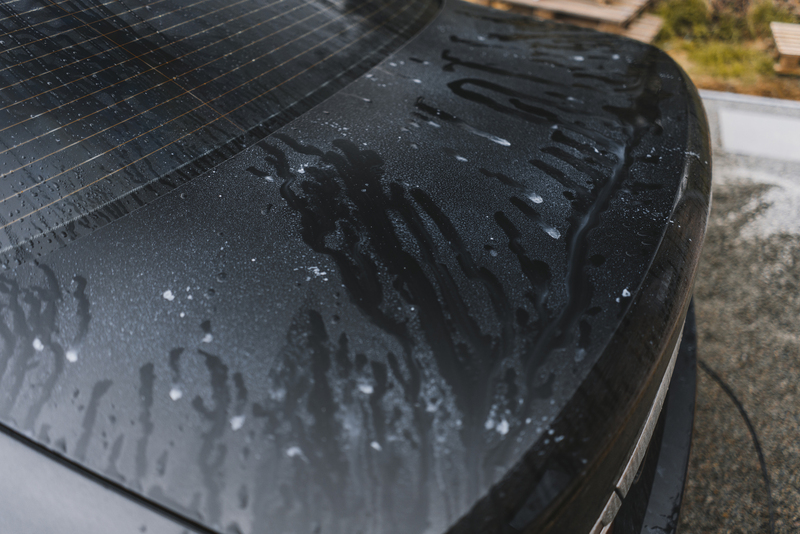 The Meguiar’s Hybrid Ceramic Wax is the most easy way to protect your car and give you a fantastic beading, feel my excitement! 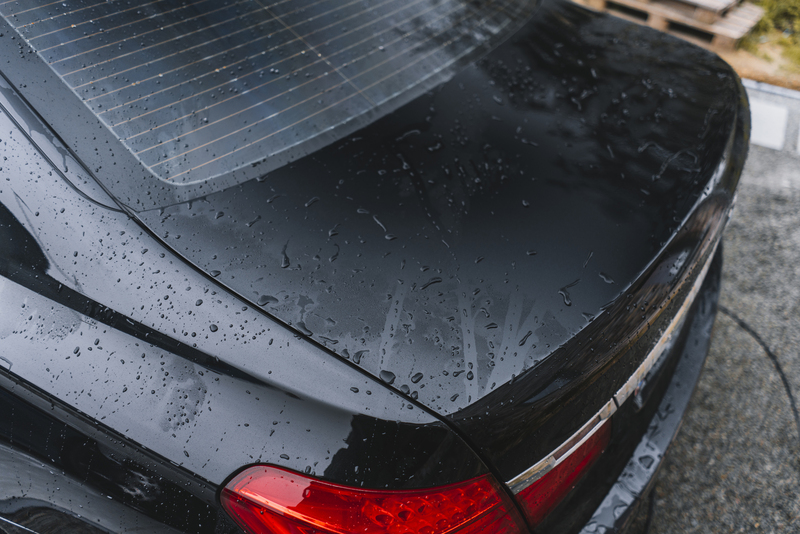 After washing the car, just rinse the car with water as you would usually do. 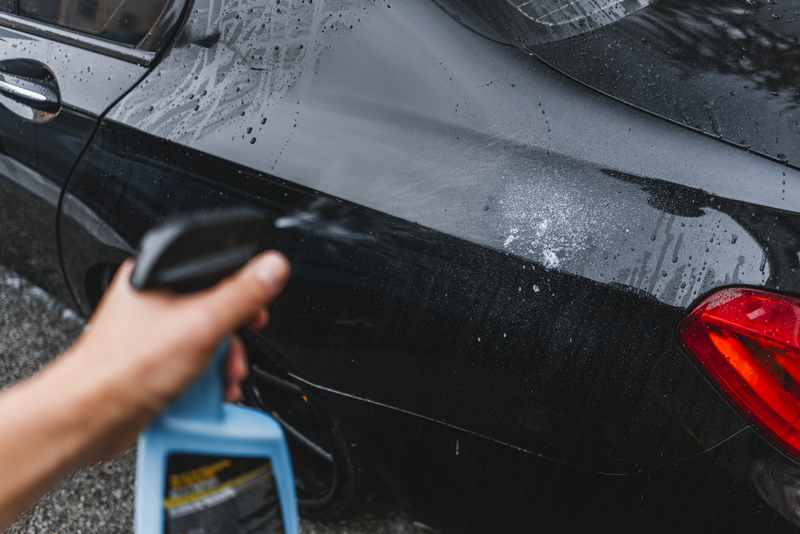 Easy as that, just spray the product to the car. 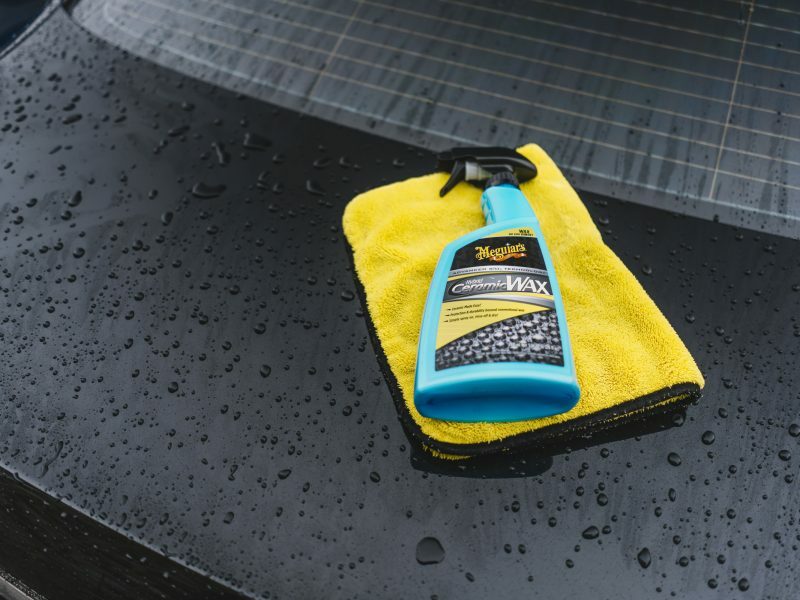 As with all Meguiar’s products: “less is more”. I must admit that you easily apply too much product as the spray is kinda rich. I advise to spray the product from a bith further. 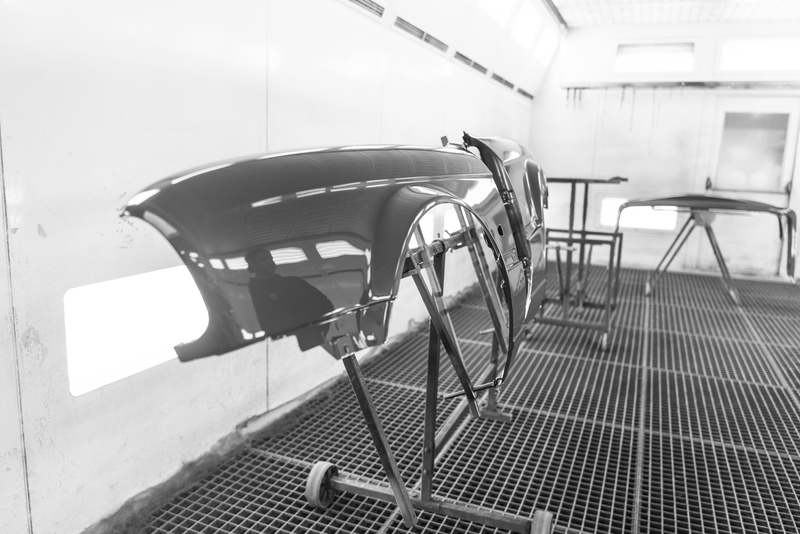 You’ll see an immediately effect, the product will seclude itself from the water on the bodywork. 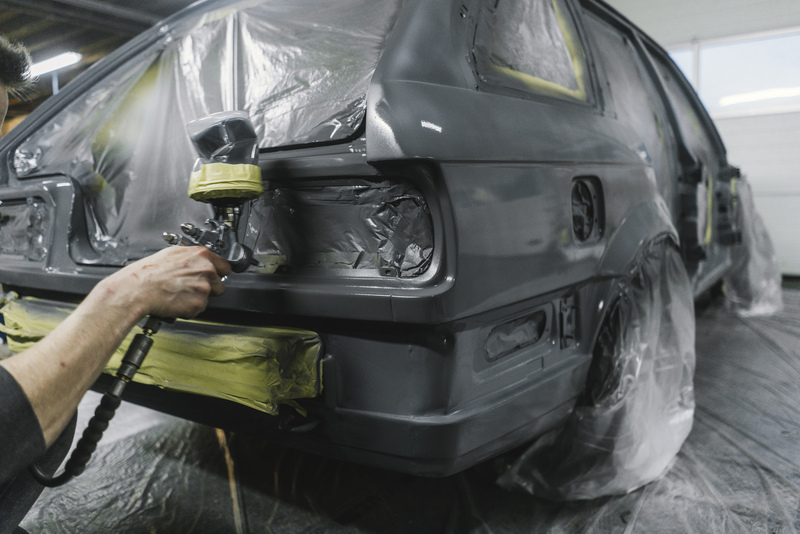 This is another advantage of the product as it doesn’t need any buffing time. Spray on and ready! 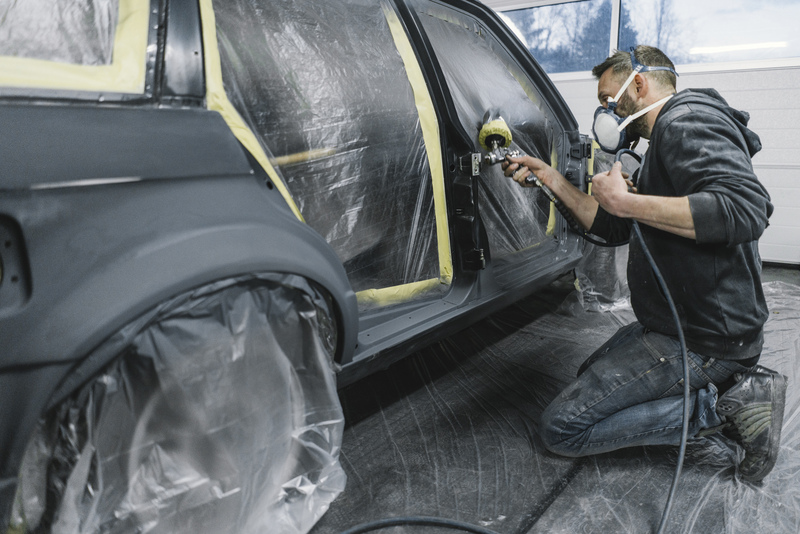 After you applied the product, simply rinse the product away with a high pressure hose and you’ll see how good the product works. It makes the beading of the water insane. The beading is like I hoped it to be, the photo says it all, thaaaank you! 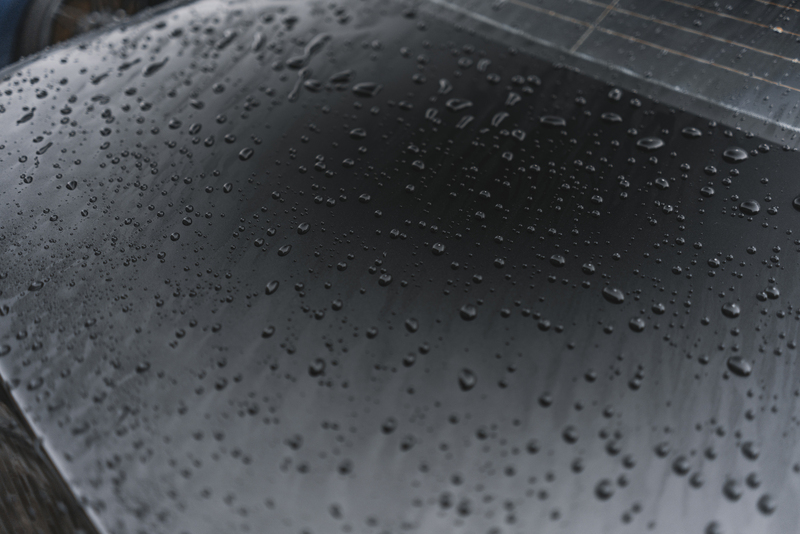 You immediately see the product working as the water is beading on the paintwork as never before. This will also contribute to drying the car with ease. 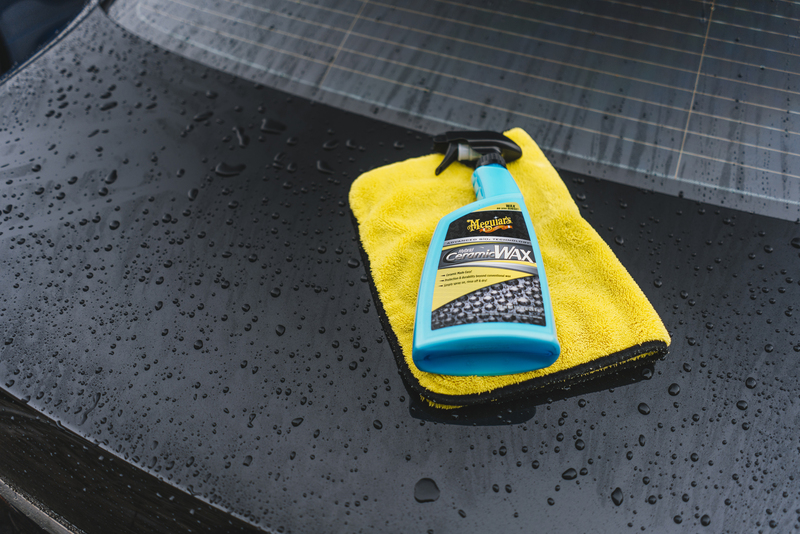 To dry the car, we take our good old Meguiar’s Supreme Drying Towel, dry in just a snap! 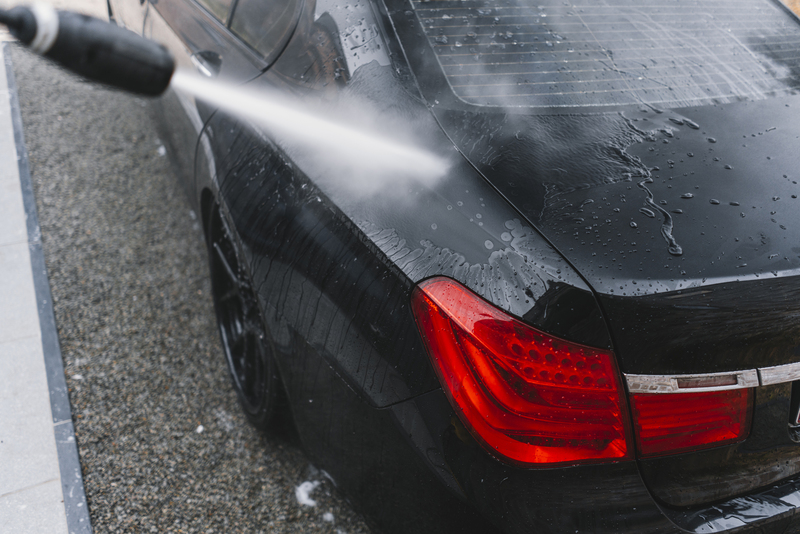 Drying your car was already much easier with the drying towel but with the ceramic coating applied, it’s even more satisfying. It’s also protected like no other! We’re a big fan!Order it HERE. If you could only see how excited I was to this day! 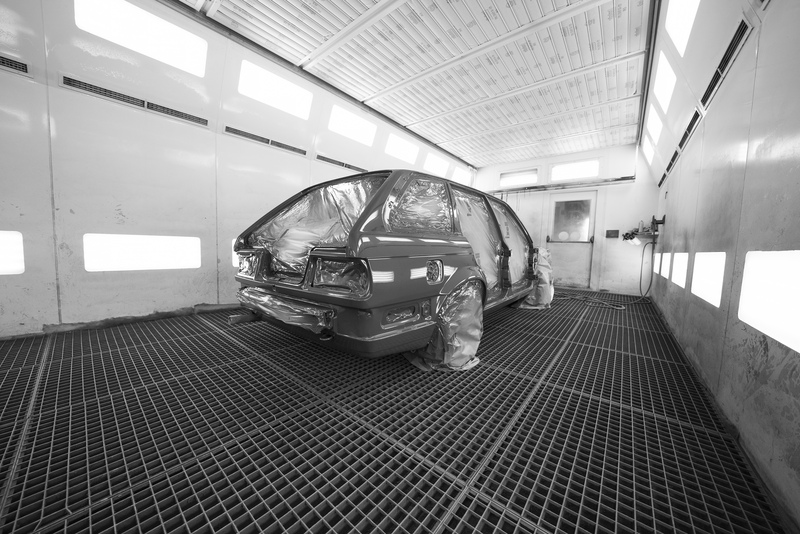 The wagon is finally getting some paint and ready to get some shape! The car might look pretty stock now but all 4 fenders are rolled extremely on the inside to tuck those upcoming forged Rotiform wheels. 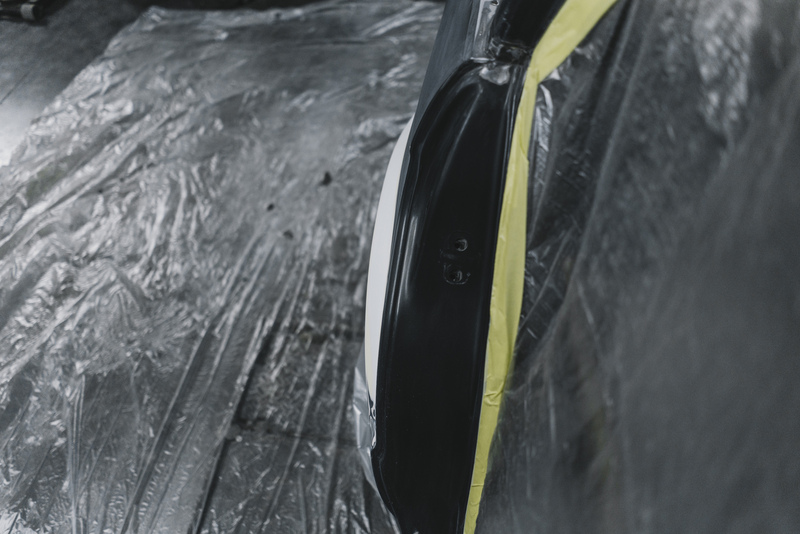 The car/color will be revealed when the car is getting some more progress as it’s more fun to show you guys the project when it’s done. ( a project is never done tho…). Big thanks to these 2 guys for making it happen! If you ever need a car prepped and painted for a new color or damage repair, hit me up and I’ll forward to these heroes! All shiny with the clearcoat on! Baked and ready for assembly! Can’t wait to put the car back together and get all the fun stuff on like the AccuAir E-level & Endo CVT. Shop the KEVVE-INC apparel here! 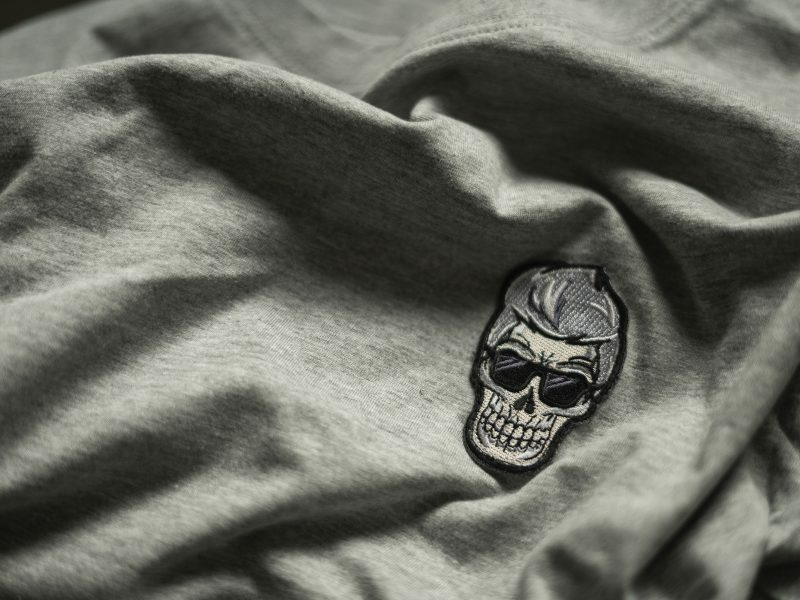 T-shirts & hoodies restocked! Yes!!!! 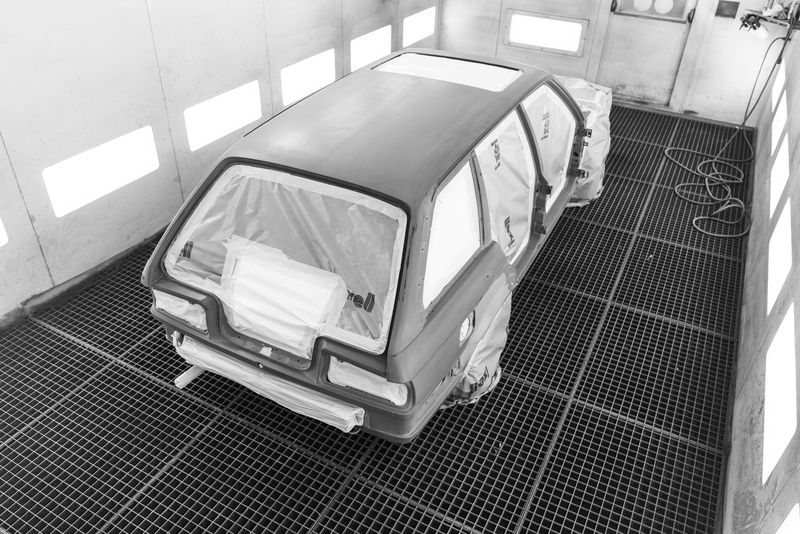 That’s the last step before hitting the spray/paint booth on saturday for its color! 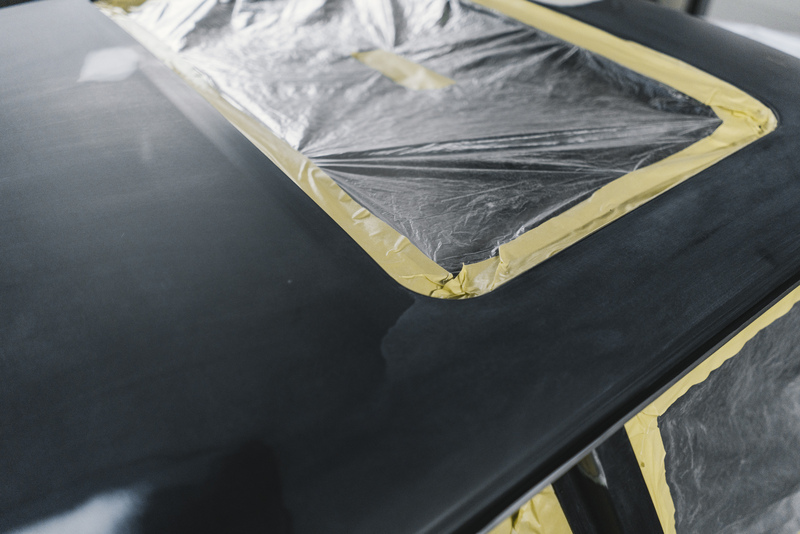 All the dents, rustspots, defects are repaired. 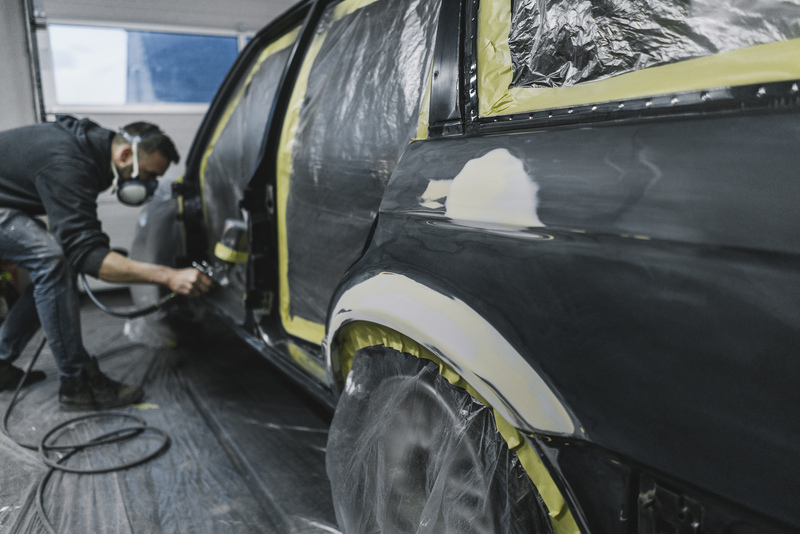 Wheel arches front and back are widened to fit those Rotiform wheels together with the deep air suspension. 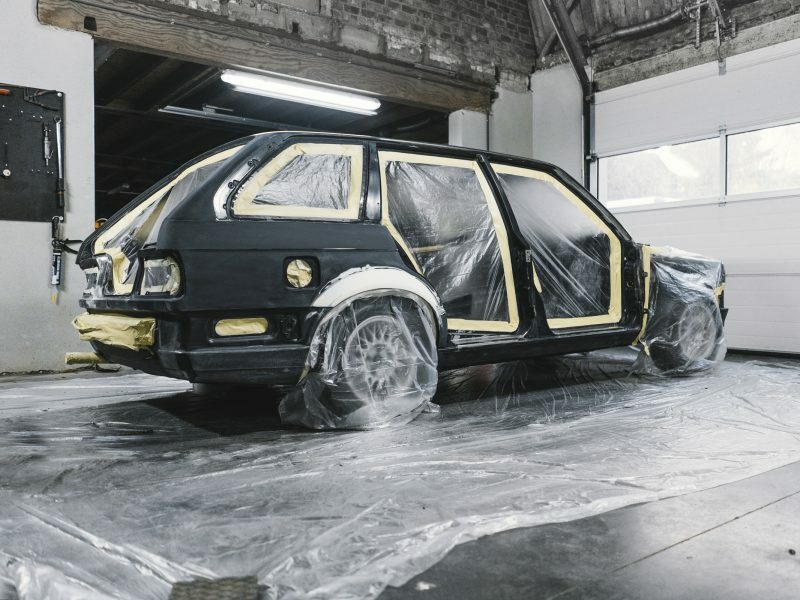 The car is receiving primer today and will be sanded down again to remove those last small defects in the panels (if there are). Lots of bare metal ready to receive some primer today. 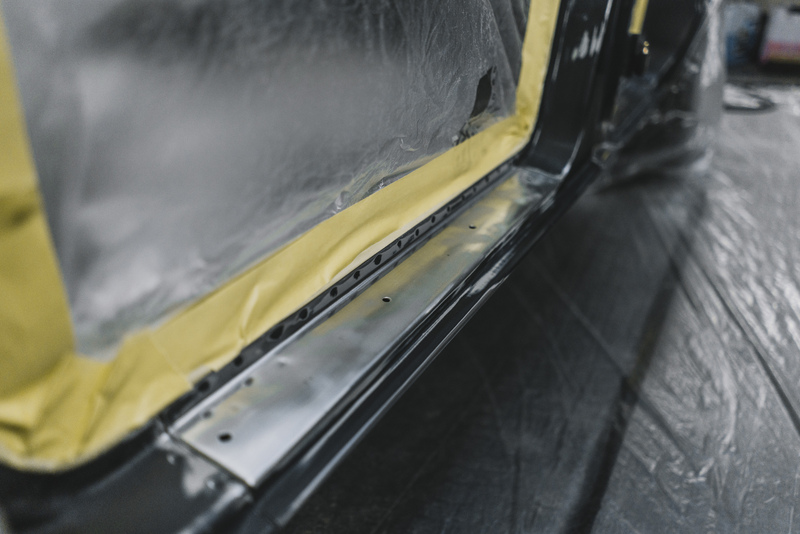 Sometimes when you’re in doubt of the state of the paint or surface it’s better to sand it all down to the bare metal and start all over again. 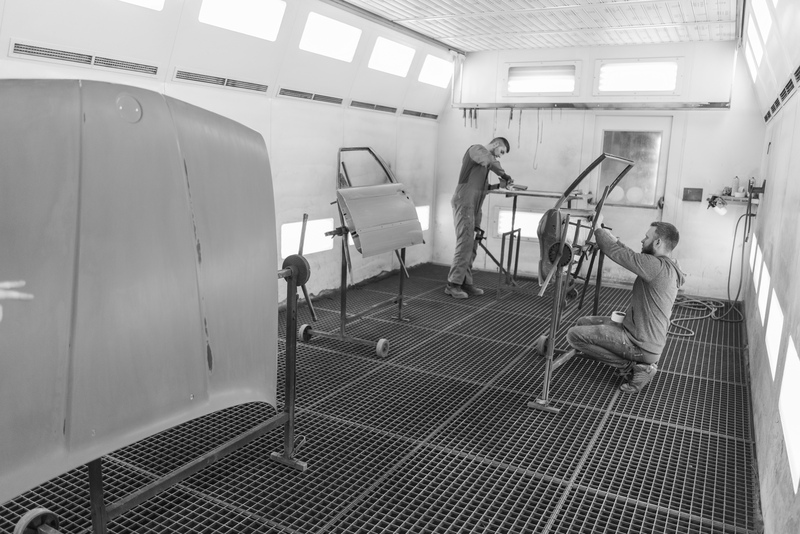 Everything masked as the interior and engine bay will receive another color as the exterior of the car. Wheel arches are ready to go and wide enough now to tuck those wheels! 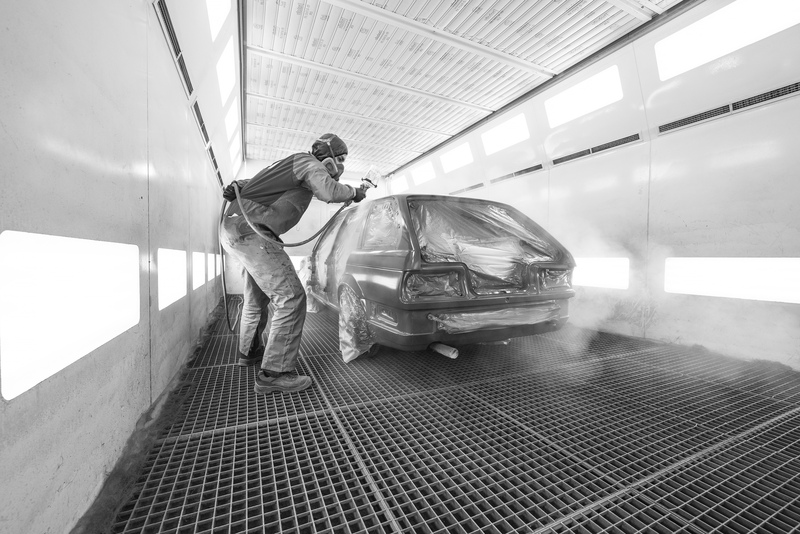 Thanks again Tom for the outstanding work on prepping the car for paint. Couldn’t done it without you! 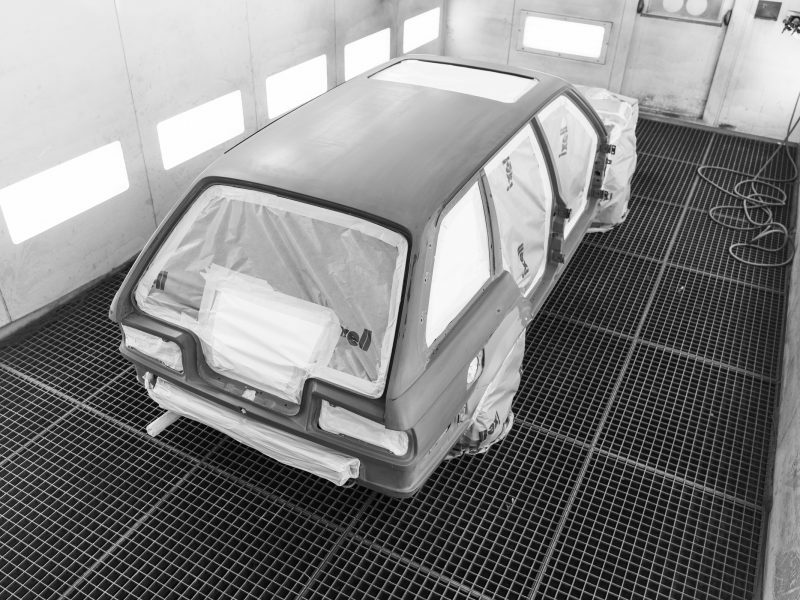 Can’t wait to get the car in the spray booth on saturday, project is finally getting some shape! Stay tuned folks! Little vlog of the pre-paint process underneath! Yes! New add-ons to the merchandising line! Well actually it’s already a few weeks old and a few sizes are already sold out but I will restock them soon so no worries on that! 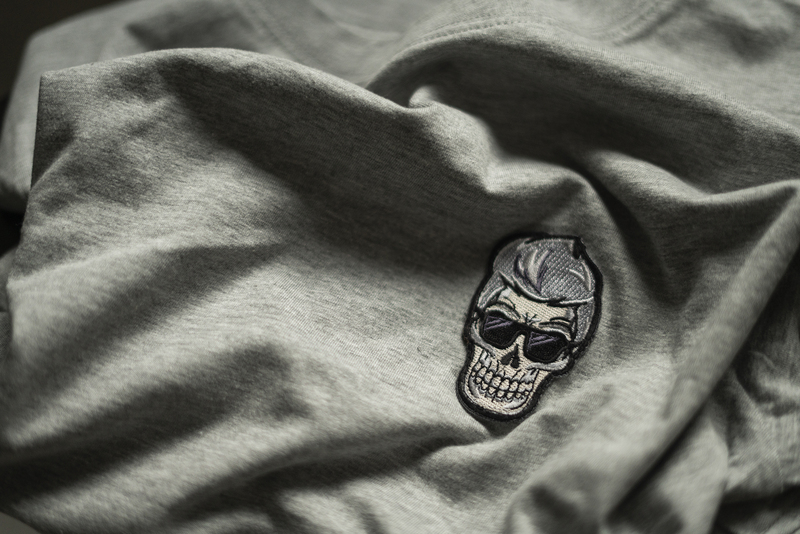 The 3.0 is a more basic design of the sunglassed skull, more basic as in the way of straight to the point – I LOVE IT! It’s actually also the best selling item so far, thanks for that by the way! You guys rock! As with all the previous designs, I’m holding on to the embroidered patches and labels as I believe in it being more qualitative looking. This will hold it proper look and value for a much more longer time then just a print on a shirt like everyone is doing. Ok, it makes a bit more expensive as the other T-shirts on every corner of the street but I’m happy to take that gamble. And yes, as it can still be chilly outside there’s also a hoodie in the same superior quality as the 2.0 design. Superwarm, supersoft and great looking! Available in black and from Xsmall to Xlarge! Is it true what Bmw tries to makes us believe? 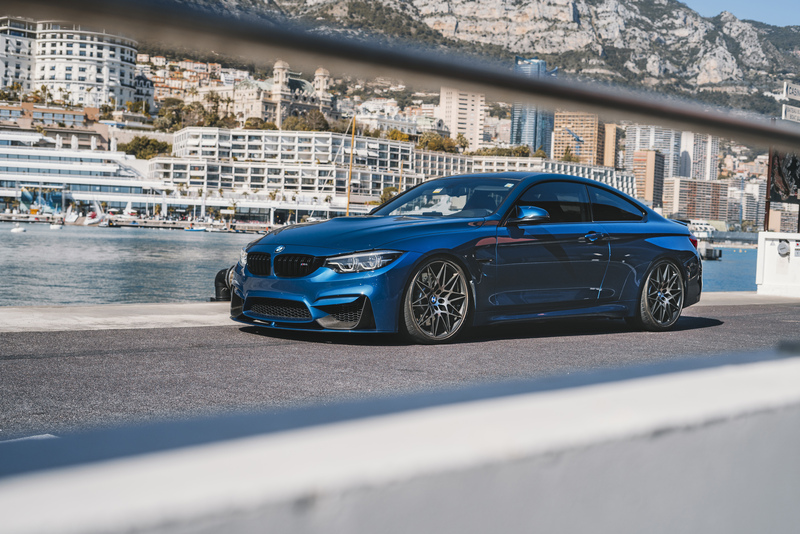 Are the M version cars of the Munich based brand really the ultimate driving machines? 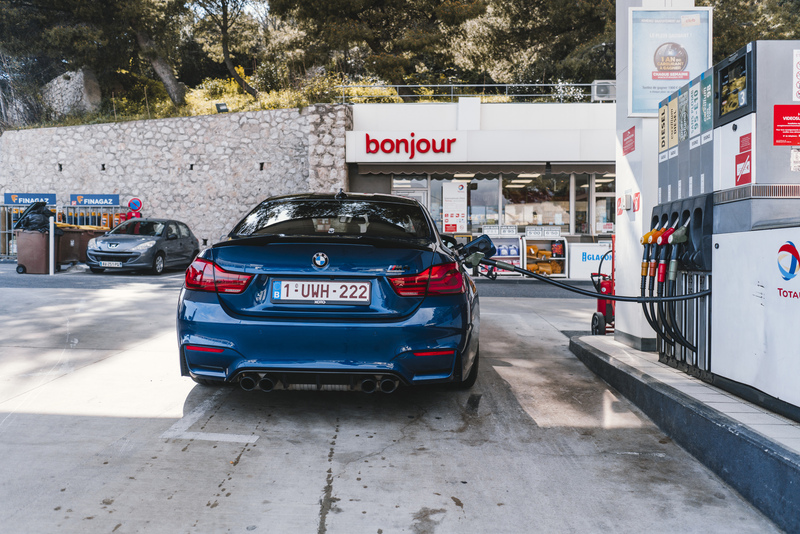 We took the M4 competition for a quick spin to the south of France and we were pretty suprised! It was the first time since I bought the car last year in August that I drove it that far in 1 time, 1250km to be exact, one way that is. As it being very fuel efficient to be an M-powered car this was the perfect car to drive to Monaco! 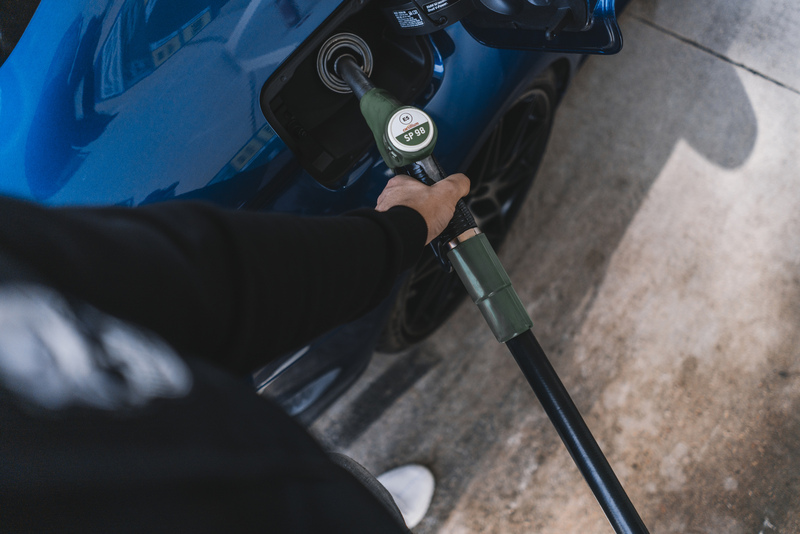 With a tank of 55L and a consumption of 11L/100km I was pretty happy. I can see many people thinking that I’m driving the car like a granny but the French police (actually pretty scared to open my mailbox these days as I’m expecting some speeding tickets) and Margaux can prove you wrong haha! Driving it for almost all the time in ‘sport plus’ mode makes the car just so much fun! 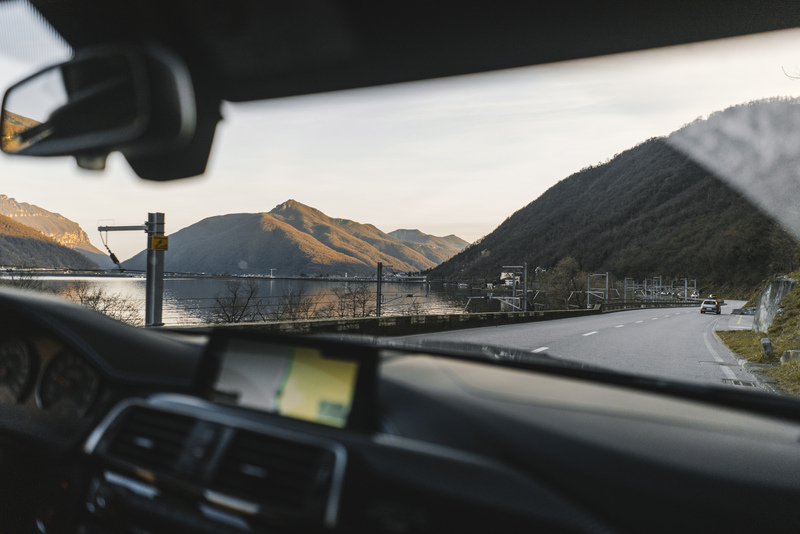 The sound, the handling, the feeling in the steering wheel… just so much fun! 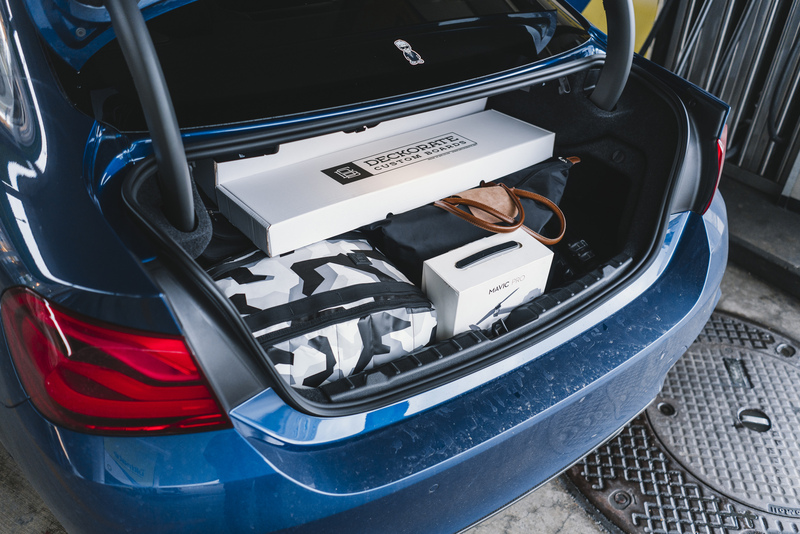 Another thing I was suprised with is the trunk space, I packed all my camera gear and Margaux decided to bring down half of her dressing room. As you could see the trunk was well filled but we were good to go! Booth space: A+! To be honest, it’s not that much smaller of the trunk of my 7 series. Driving from Belgium which was rainy and cold through Switserland which suprised us with some melting snow. 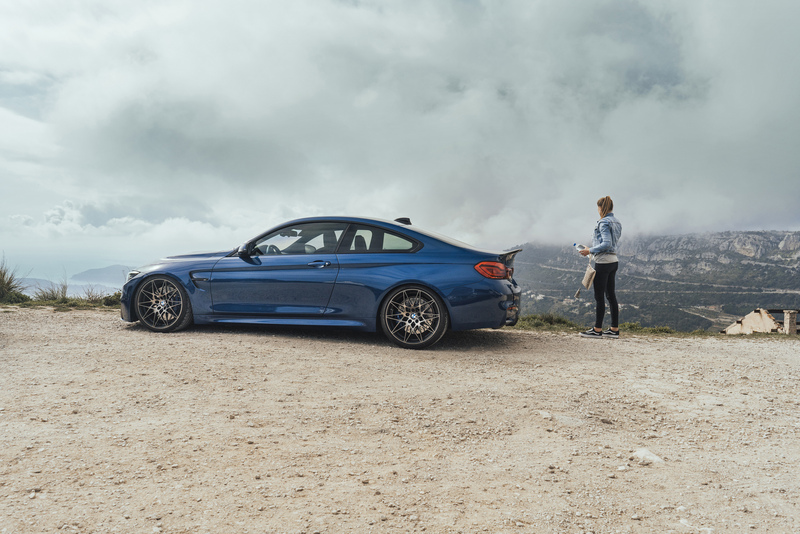 It wasn’t a problem for the handling of the M4 together with the sturdy Michelin tires. Thank god! And yes, this little girl was pretty happy as you could see when she could drive the car! Totally not scary at all! (smell my sarcasm). No actually it was much fun to see her handling the car like a real pro car driver! One of the reasons I like her so much! And what’s better then a fresh wash of the car when we arrived at the Côte d’Azur? It was pretty dirty from the road down and all of the roadkill and rain. Nothing beats this view, my 2 ladies looking clean! 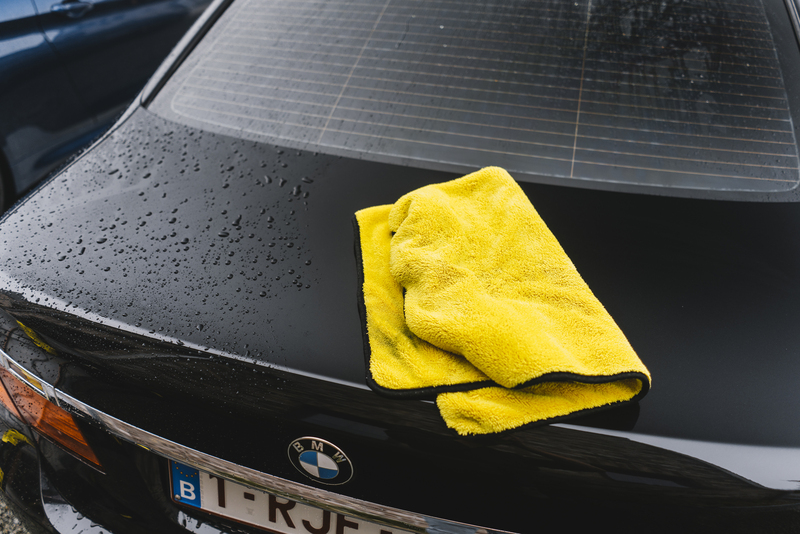 By the way, these yellow Meguiar’s Drying Towels are amazing for drying a car in record time! 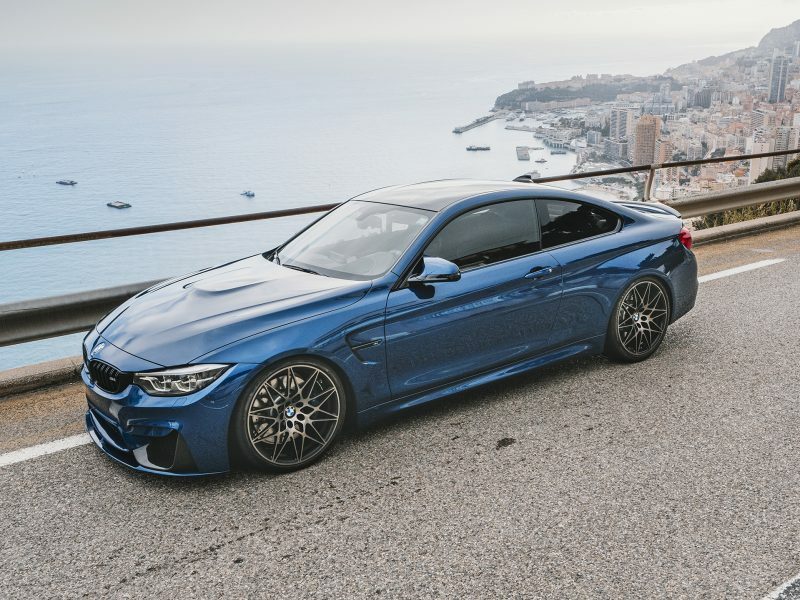 And how exactly can a Bmw M4 be the ultimate driving machine in a country full of supercars or just legendary cars? Monaco is known to be the country with the most supercars per square mile. Yes, read that again… These 4 beauties were parked in the underground garage where the M4 was parked at the hotel. (note: these were only a few, I could list more then 50 here from only the underground parking). It just stands out with the looks, the X-factor and the car being great on every aspect. 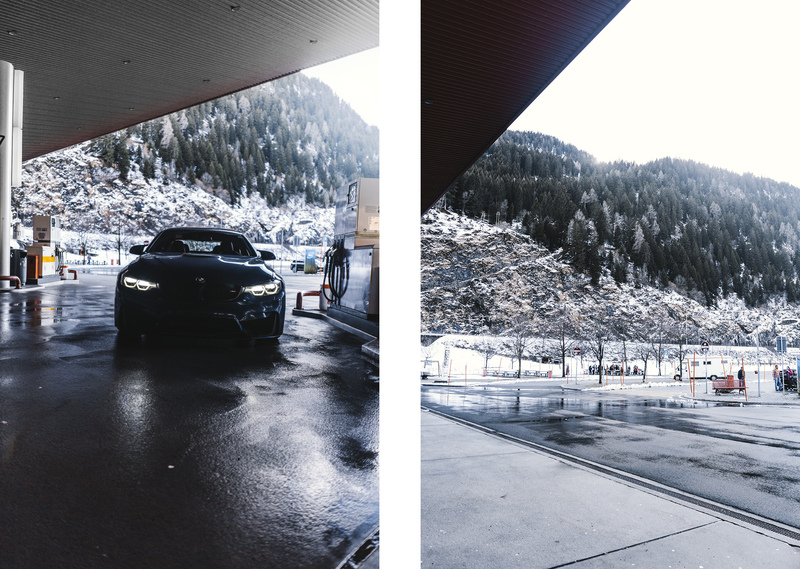 Driving around this magical place with the Bmw was just amazing, all these great spots to take some snaps! With all the Porsches, Ferraris, Lamborghinis, Aston Martins driving around I was pretty happy to see how much looks the M4 received from people in the street. Not that I have to compensate something with my car but it’s always fun when your car gets some attention. And by seeing this photo, I already forgot I have a car…! 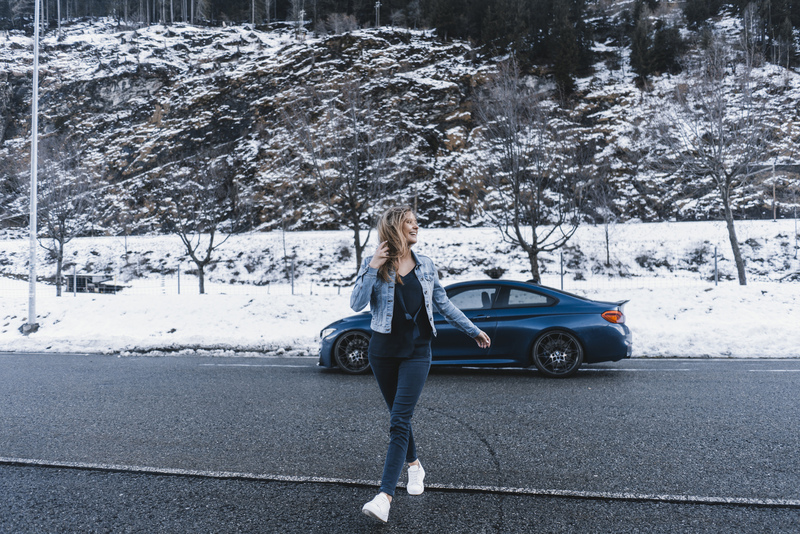 Ok… back to the car! The car! Focus Kevve! 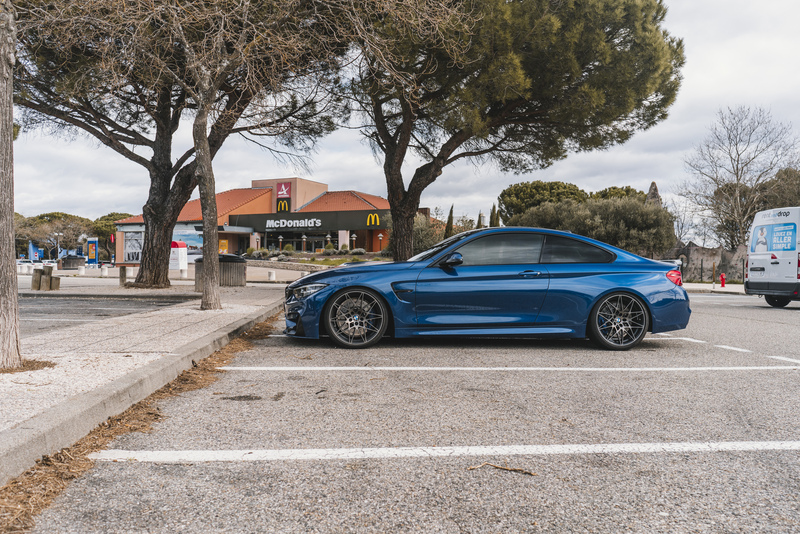 The M4 which has received some extra carbon parts, a KW suspensions coilovers and some tinted windows matched the scenery perfect. I’m thinking on switching up the wheels but I can’t figure out which ones yet. Epic views all day long! Sign me up for another trip! This car really proved his strenghts on this trip! It really is the ultimate driving machine! The looks of this car are just so perfect from every angle! It looks even so beautiful on a parking lot on the highway while eating some McDonald’s! 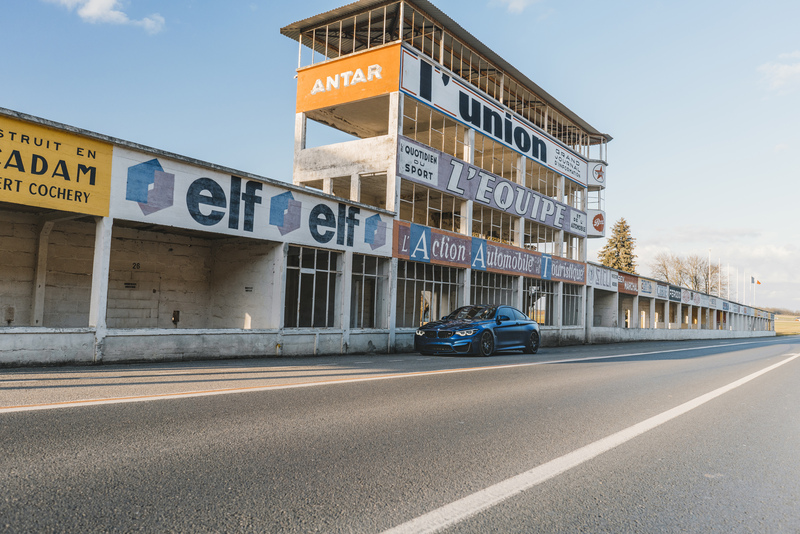 On the way back home, we stopped at the historical Reims racetrack for a proper picture! Always wanted to do that! Thanks again BMW for making such a great overall car and thanks XOTO for hooking me up with this 1/10 Limited Edition on the Avus special series! They have some more special M’s in stock if you guys are looking for something cool! Thank me later!